Linchpin Theatre, www.linchpintheatre.com, promises to bring a fresh perspective to the Chicago theatre scene with its inaugural production of William Shakespeare's seldom performed pay, "King John." "King John" will run from Oct. 25 to Nov. 11 at Linchpin Theatre's home within Josephinum Academy at 1500 N. Bell Ave., Chicago. Performances will take place at 8 p.m. on Friday, Saturday and Monday evenings. Tickets are $10 and may be purchased at the door or at www.brownpapertickets.com. Producers and Co-Artistic Directors David Fehr and Kathryn Bartholomew shortly after obtaining their master of fine arts degrees in acting and directing from the University of Missouri - Kansas City, with the intention to continue the theatre production work they began in grad school with their company, One Night Stand. I had the chance to talk to Bartholomew about their new nonprofit theatre and the upcoming show. Q - Great to talk to you. What made you want to do "King John" as your inaugural production? What should people expect from the show? David started talking to me about King John in about 2006/2007, though he’d had it in his head years before then. He had a passion for the characters and the story and found it echoing through history and time. We discussed why it isn’t produced more, really enjoyed picking the script apart, and became excited to mine the gold within and bring it to an audience. Q - What were your goals in creating Linchpin Theatre? What lessons did you learn through your company One Night Stand? Our main goal is to bring a great story to an audience, any audience, and to inspire the artist within them. We’d like frequent theatregoers and new theatregoers alike to sit down together at the Josephinum and feel welcome and inspired to invest in the story. We believe that goal can be reached by respecting the intelligence of the audience. At Linchpin, we create theatre with a core idea, a vein that runs throughout all aspects of the production. The truth is that every play can be about many things. But choice is the key. If all the artists involved in our production agree together on one distinct idea as the touchstone, we can present a clear story that will, in turn, enhance other notes within the play. Freedom within structure. One Night Stand was a fantastic learning experience for us. We were in grad school in Kansas City when we started, and wanted to know what it meant to produce theatre together on our own. We wanted to put into practice the things we had learned, to experiment with the things we didn’t know yet, and to know what it felt like to be completely responsible for our artistic choices as a team. We learned quickly how difficult being a producer is and how many fires flare up every single day. We started to enjoy the challenge of balancing the artistic development of the story as designers and actors within a show, and the demands of promoting and nurturing the production from a business perspective. We have learned lessons, triumphed and failed along the way (and continue the risk), but we enjoy the work, and there is a rush in knowing that you are “all in” for the art you want to create. Q - What do you think of the theater scene in Chicago and how do you see Linchpin Theatre fitting into that scene? Chicago theatre is full of creative minds who are producing because they have a passion for it and want to share that. They have something to say. You can’t beat that. Chicago theatre is for people who don’t mind getting their hands dirty. We are surrounded with artists who are curious and inventive. There is a dedication here that is unparalleled. That inspires us. We hope we can add to that discussion, and that Chicago theatre audiences appreciate what we have to offer. Q - What do you think about the cast for "King John?" Are you trying to encourage young actors to get involved that might not have as much theatrical experience as other actors? It is a large cast - 15 actors in all, including understudies. We have pared-down the characters in the original version of the script a bit for several reasons, one of those being that our stage can’t hold 20 plus actors all on stage at once. We always want to encourage young actors. No matter what age, if we see an actor with curiosity, work ethic, passion for the story, and an open mind, we are happy to consider them. Experience is fantastic, and we certainly think it is a testament to dedication, but there is always more to consider than that alone. Q - Of course, the both of you are also part of the cast. Was it important for the both of you to be in the inaugural production? Is it hard to juggle being in the cast and producing the show at the same time? We love acting. We love directing. We love producing. We felt that if are going to create this company, we need to put our money where our mouth is. It is definitely a complex process juggling all of these positions at once, no doubt about it. It requires a lot of planning, patience, and breathing. But we love working as a team and find the effort worth it. Q - Tell me a little about the educational outreach that Linchpin Theatre plans to do. How would you like Linchpin Theatre to be part of the surrounding community? We are in the unique position of having support and encouragement from a wonderful school, the Josephinum Academy in Wicker Park, where David teaches. Together, David and The Jo have developed a thriving theatre and fine Arts program from the ground up. The Josephinum values the lessons and skills that theatre can provide and we couldn’t be happier about that. We believe that acting and directing are art forms that can be learned. The idea of talent is nice, but craft more so. It is a living process, and the key to owning and developing your own perspective. Creating theatre doesn’t have to be obscure. The mystery, curiosity, and wonder of theatre should come from the story and how we invest in it. We want to share that with students at the Josephinum and throughout the Chicago community through after school programs, summer classes, and private coaching. This is why we focus on productions and educational outreach together: we want to inspire new artists and theatregoers. 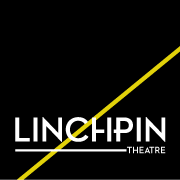 Q - What future productions would you like to stage at Linchpin Theatre? What are your goals, both short-term and long-term, for Linchpin Theatre? Ha! We’ve been dreaming of starting our company in Chicago since we were in grad school together - and that was about eight years ago - so our list of shows to produce is a few pages long now! But taking into consideration timeliness, audience, budget, opportunity, and what inspires us most at any given time will really be the key to what we put up next. Our ongoing goal is to tell the stories we want to tell, entertain and inspire a diverse audience, challenge ourselves as artists, and empower young theatre artists. Short-term: We’d like to develop an audience. Long-term: We’d like to develop a community of people who enjoy and are inspired by the stories Linchpin tells and the way we tell them.